Domains in the wild are captures of domain names in the physical world. Whether as decals on vehicles, signs or other advertising media, “domain sightings” come in both a .com flavor and a non-com range of TLDs, gTLDs and ccTLDs. 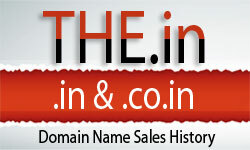 In today’s capture, we are dealing with a numeric, eight digit (NNNNNNNN) .com domain from Hong Kong. Commercial water-cooling energy-saving and environmentally-friendly air-cooler was developed in 1992 and assembled by imported parts from Australia. In 2008, it was sold to consumers in order to guarantee the price of trade. The introduction of large-scale molds was fully produced in China, and at the same time with Hong Kong/Sweden/China. Work together to develop and improve.